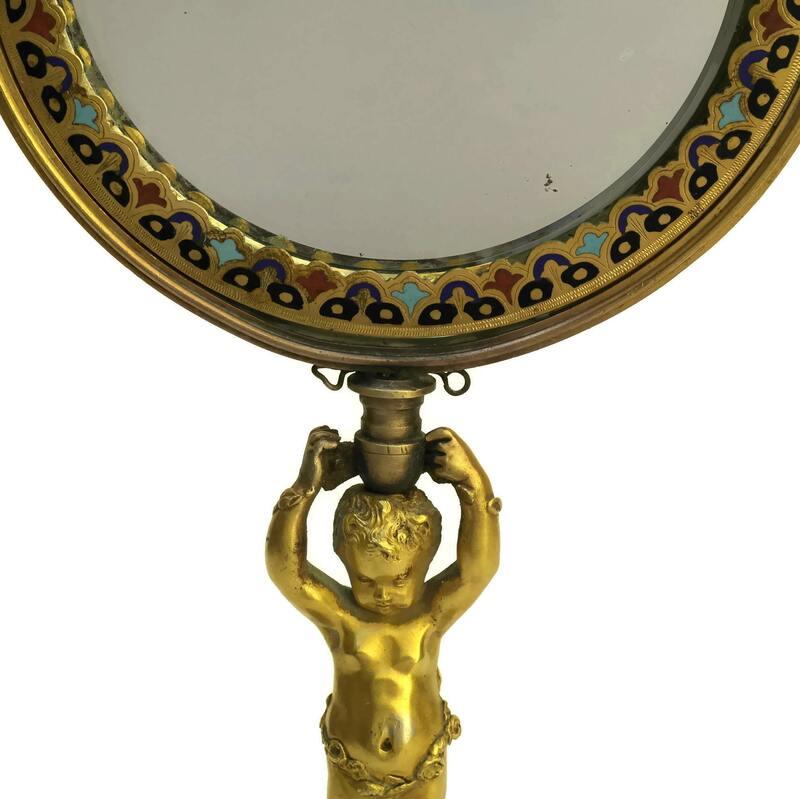 A beautiful antique French champleve and brass standing mirror with a cherub figurine. 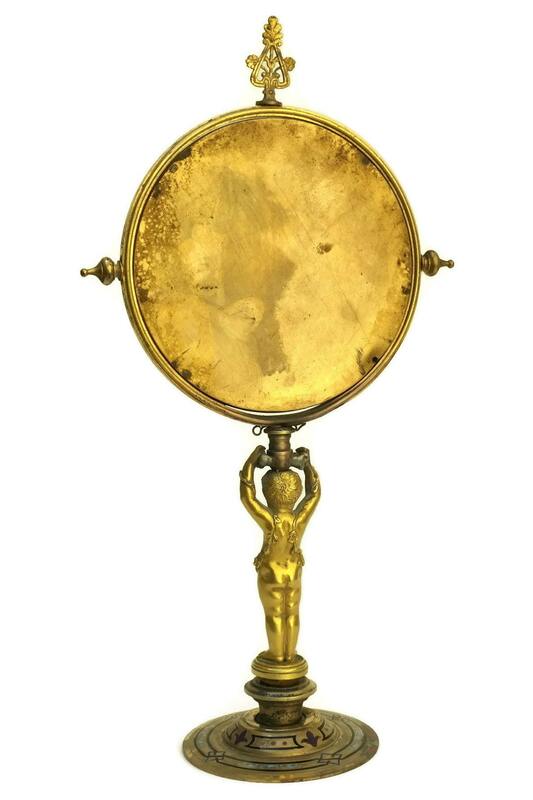 The vanity and makeup mirror dates to the 1800s and is filled with classic French style. 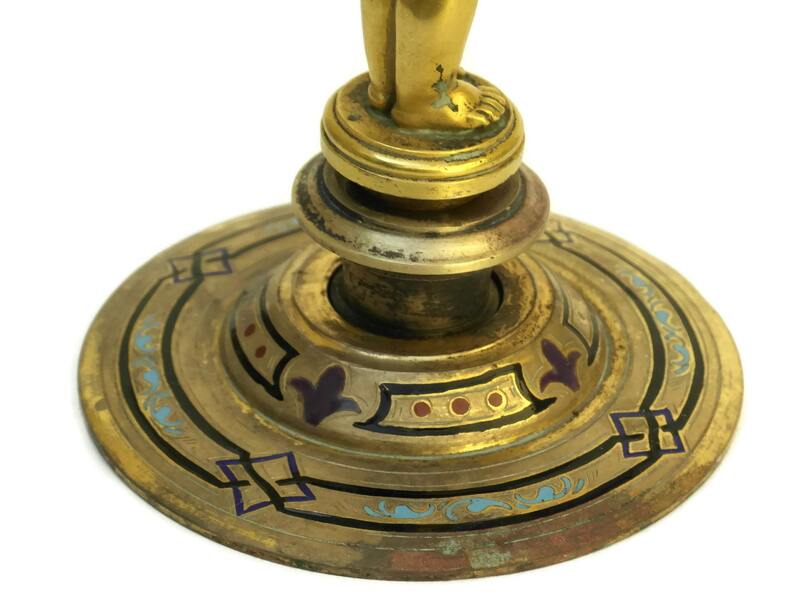 The stand and round frame have been cast from brass and decorated with exquisite champleve enamel in rich jewel tones. 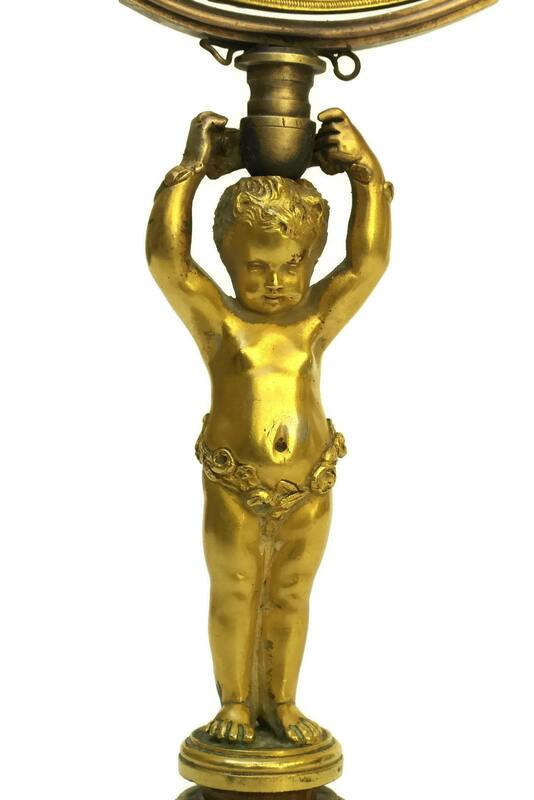 The cherub has been cast with fine attention to detail and is decorated in gilt. 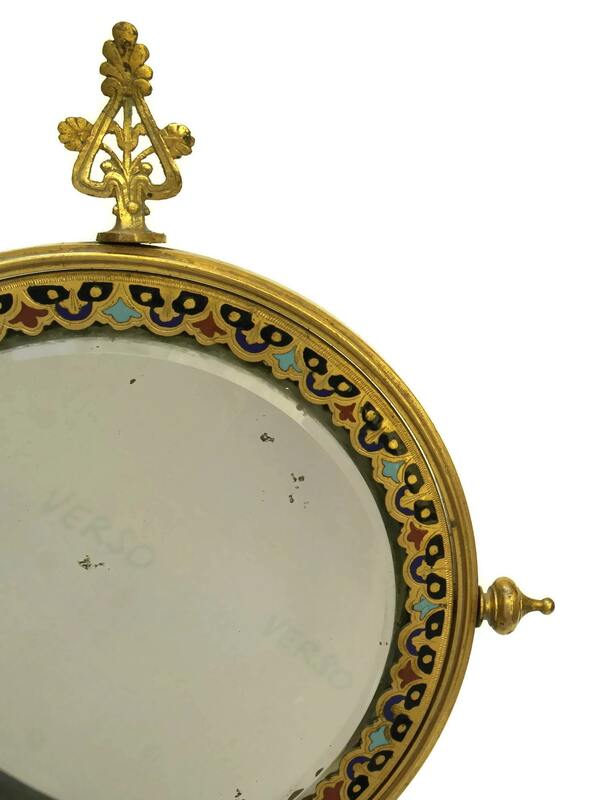 The mirror features a traditional bevelled edge and the sides of the frame have decorative finials. 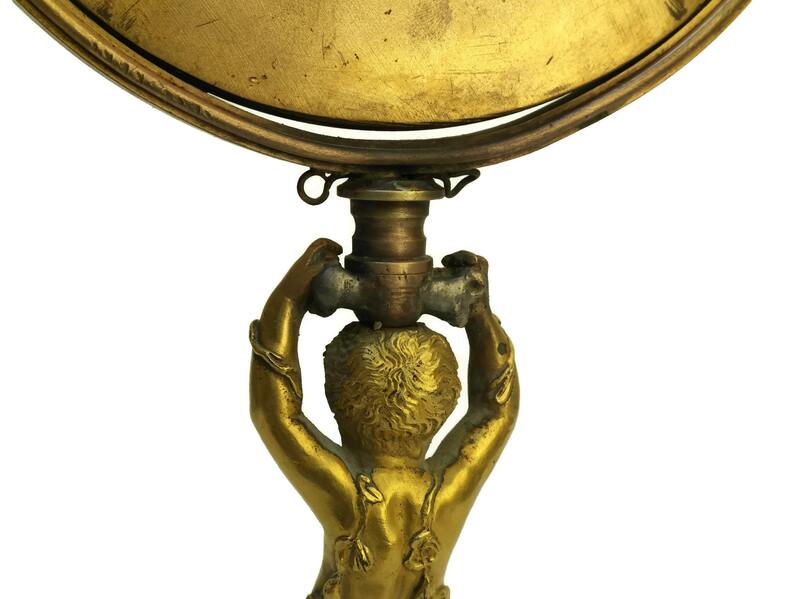 The mirror is fixed and its position cannot be adjusted. 12 1/2" Tall x 7" Wide (32 cm x 18 cm). 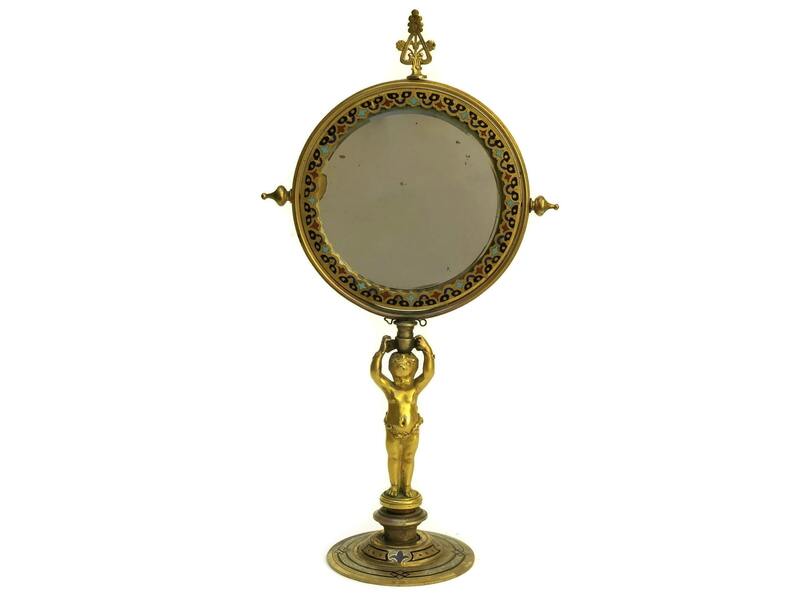 The makeup mirror is in very good antique condition with some signs of age and wear. 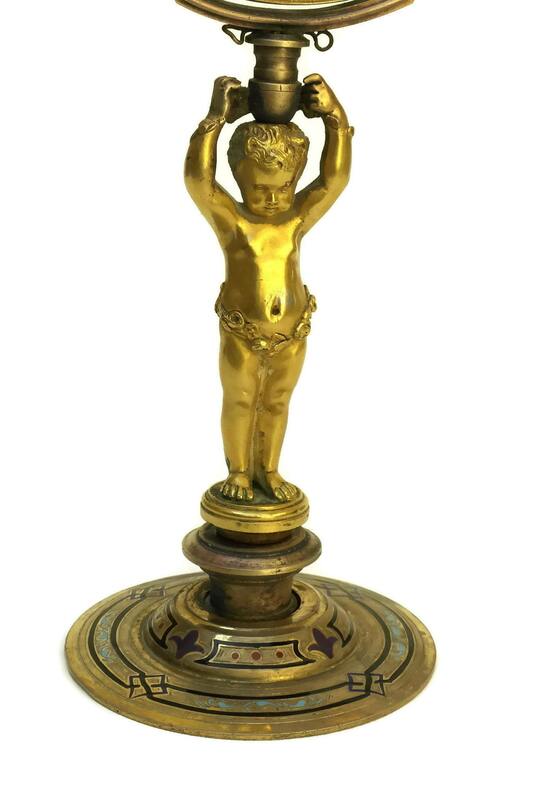 The brass has a rich, aged patina and there is evidence of soldering at the back where the cherub's hands support the mirror. 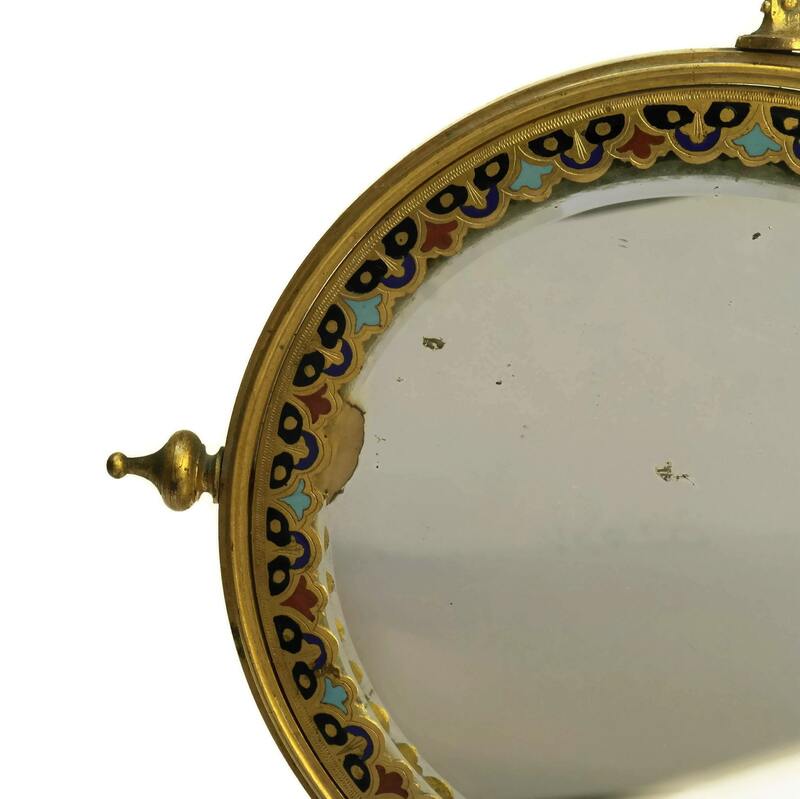 There are some surface marks to the glass and a small piece of missing silver lining to the edge of the mirror.